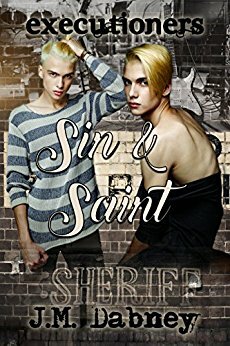 This was a definitely intriguing tale of 2 brothers with their sights set on the town sheriff. The problem was the sheriff was twice their age. They would stop at nothing to make him theirs. The brothers did nothing without the other but they each had their own quirks. They also had some mad skills up their sleeves that came in handy when their sheriff found himself in need of rescuing. This book was definitely unique and I’d recommend it especially if you’re into triads.